HF: Nga Tsin Wai Tsuen,衙前圍村, (“the walled village in front of the yamen”), also known as Hing Yau Yu Tsuen, 慶有餘村, (“overflowing prosperity”) in San Po Kong, at the northen end of Kai Tak airport is the only walled village left in Hong Kong Island and Kowloon. The SCMP: Occupying an area of nearly 50,000 square feet…600 year-old square-shaped Nga Tsin Wai Tsuen once had watchtowers and even a moat to protect its inhabitants against attacks from pirates. “We all once stood firm with our wish to stay. But, one by one, people left. So, I couldn’t stay,” said 53-year-old Kwok Yue-ka, who had run a street-level barber shop on the outskirts of the village and living in a squatter hut above it for over 20 years. SCMP contd: Kwok and a group of residents had refused to leave the village after the Urban Renewal Authority began to take over land in the area in 2007 because they felt the compensation offered by the authority was unfair. They engaged in a nine-year tussle with the government over compensation. Community activists also launched campaigns to save the historic neighbourhood, but to no avail. In December last year, the Lands Department issued an ultimatum: the remaining illegal occupiers in the village were to leave by today. 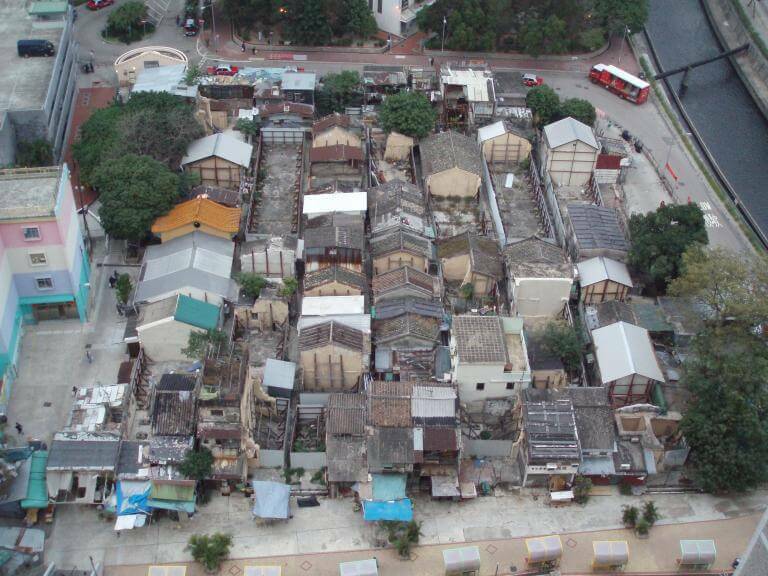 On 18 July 2007, the government announced its plans to redevelop Nga Tsin Wai Tsuen. The Urban Renewal Authority says, “Conservation experts were engaged in 2006 to carry out conservation study which concluded a proposal for the Conservation approach of the design for the development, to preserve the remaining authentic historic relics and recreating the village ambience as far as practicable.